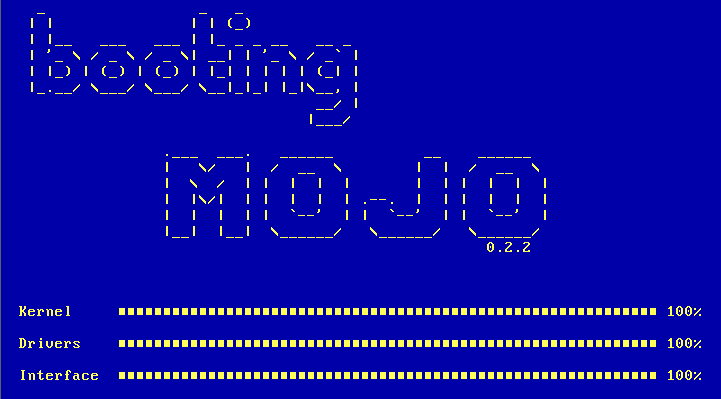 Mojo is a simple operating system for the x86 architecture. 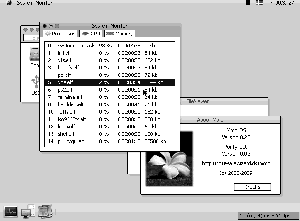 It was developed using C, C++ and assembly. 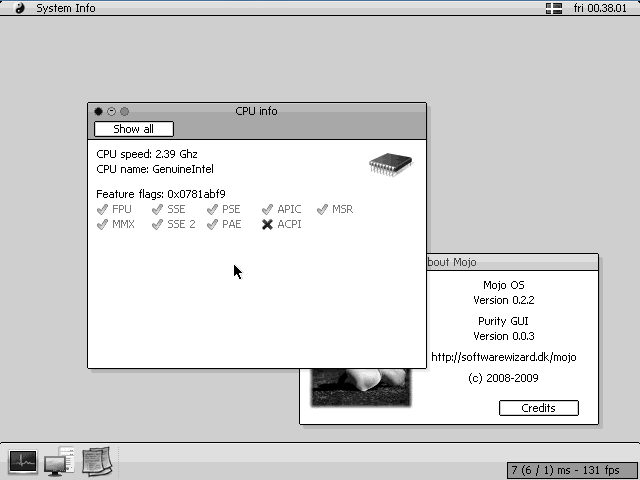 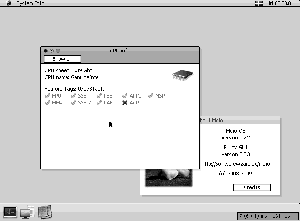 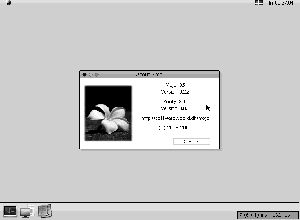 The goal was to implement a modern desktop OS. 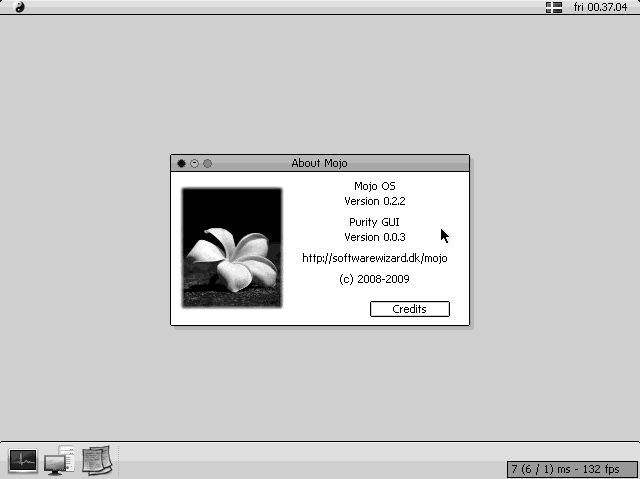 The first version was released in October 2008 and the last in November 2009.